Air + Style 2019 in Los Angeles features a lineup of great indie rock, electronic music and indie pop alongside snowboarding & skateboarding contests! Air + Style Los Angeles hasn't made any announcements yet ... it's looking like the event won't take place this year. It started out as a European snowboard contest in Innsbruck, Austria before setting in on Los Angeles Memorial Coliseum in Exposition Park. Check back for updates to see if tickets will go on sale! The expected Air + Style dates are March 2 -4, 2019, if the festival continues on the same weekend as the previous one. These dates haven't been confirmed, so check back for updates! 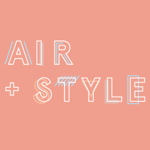 The Air + Style 2019 lineup & Air + Style 2019 tickets are below! Air + Style tickets are not on sale. The Air + Style Los Angeles lineup for 2019 hasn't been announced yet. Check back for updates! Who do you want in the Air + Style lineup?